This Native American-inspired wig will give you the hard-to-accomplish on your own hairdo instantly! 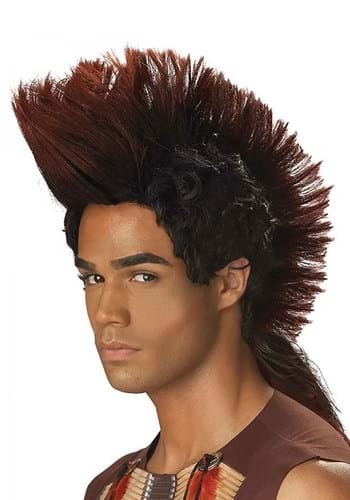 This synthetic headpiece allows you to have a "mohawk"-style look without actually altering your own hair, and it features red accents for extra detail that makes it appealing. You will likely have to style it yourself once you take it out of the package, but once you do it will stand up and stand out. Don't worry about buying ten pounds of hair gel... just get this wig!